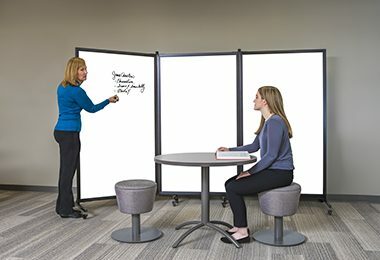 Whiteboards are a great teaching tool to incorporate into any classroom. 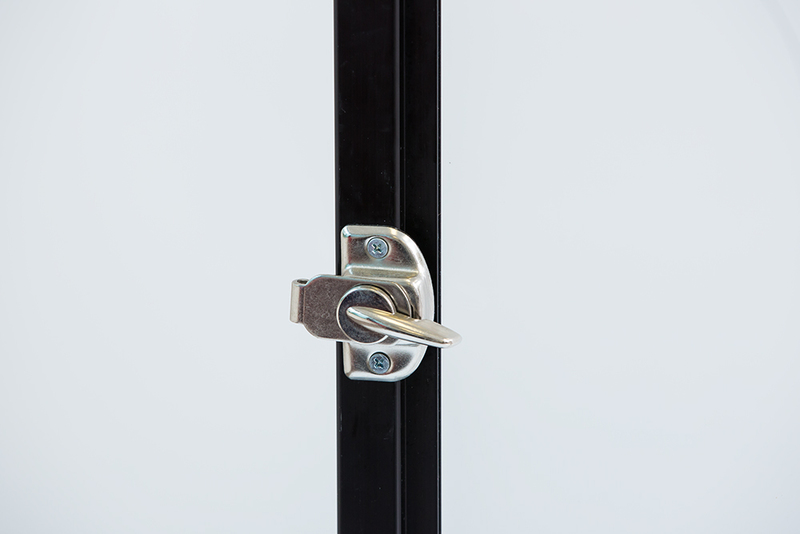 They can be used for brainstorming, discussion activities, student assessment, and problem-solving. 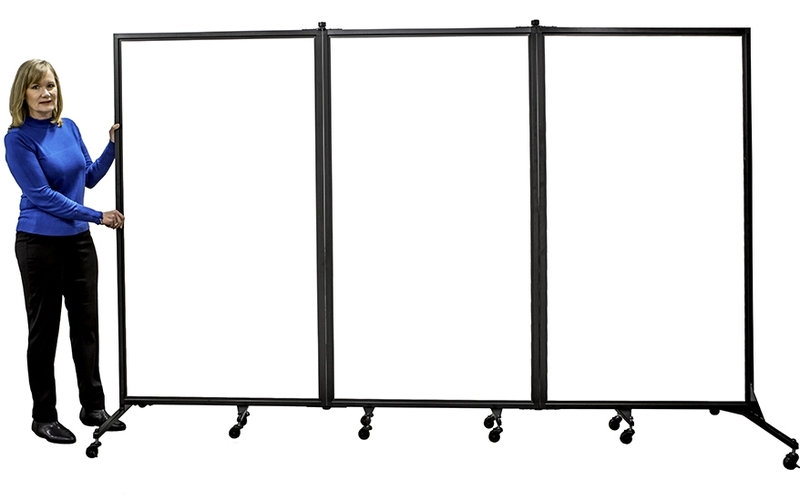 And when it comes to effective writable surfaces for the classroom we are confident you will find the Screenflex portable whiteboard divider the best in its class.Screenflex Whiteboard Dividers are freestanding and offer you the opportunity to move the writable surface throughout your school opposed to writable surfaces that are affixed to the wall. 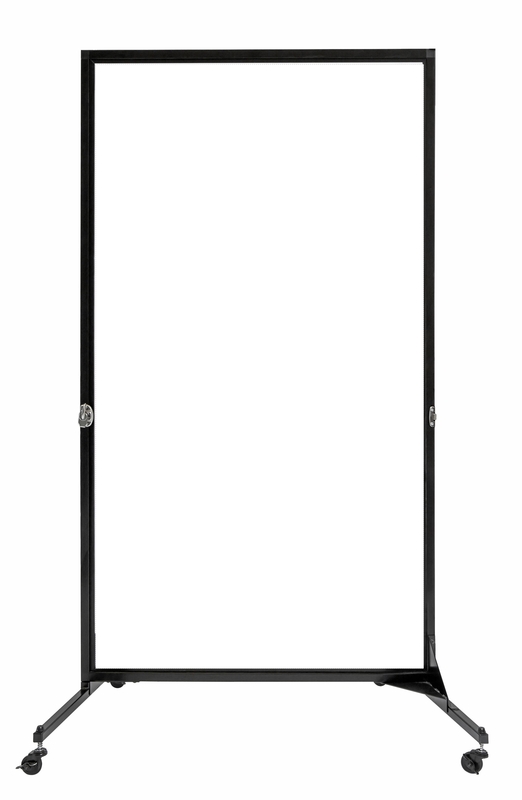 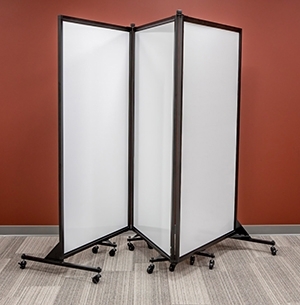 The Whiteboard Divider is available in a double-sided 1 or 3-panel movable wall. 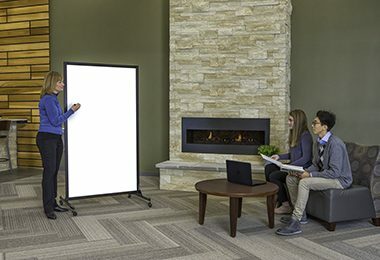 The low-profile dry erase board is made from a 1/8” solid wood core covered with a non-porous dry erase writing surface that carries a 3-year warranty. 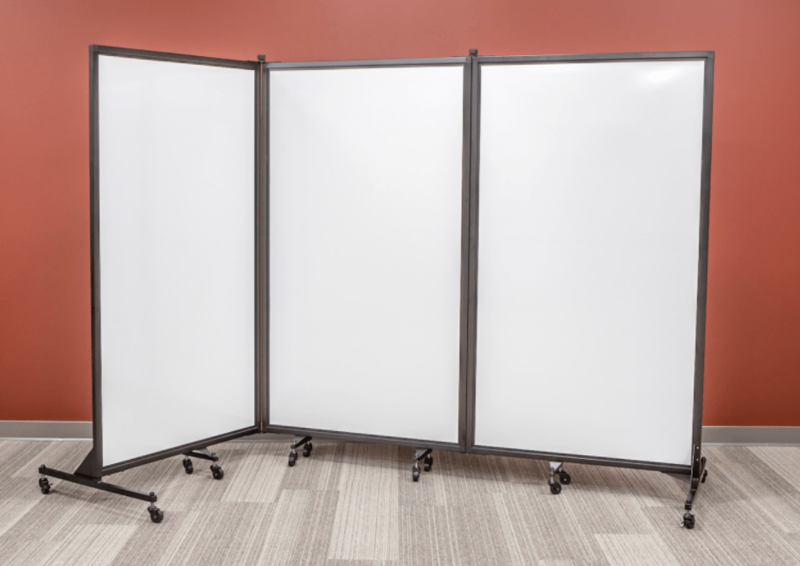 Each panel is encased in an aluminum frame for durability resulting in a writable surface that is superior in workmanship and quality. 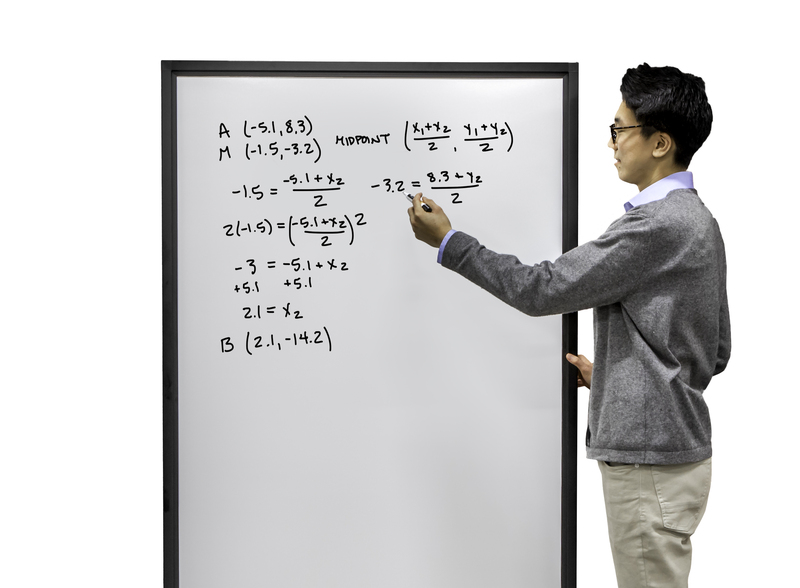 These highly ghost-resistant dry erase boards wipe clean and the writing on the bright white surface is easy to view throughout the classroom. 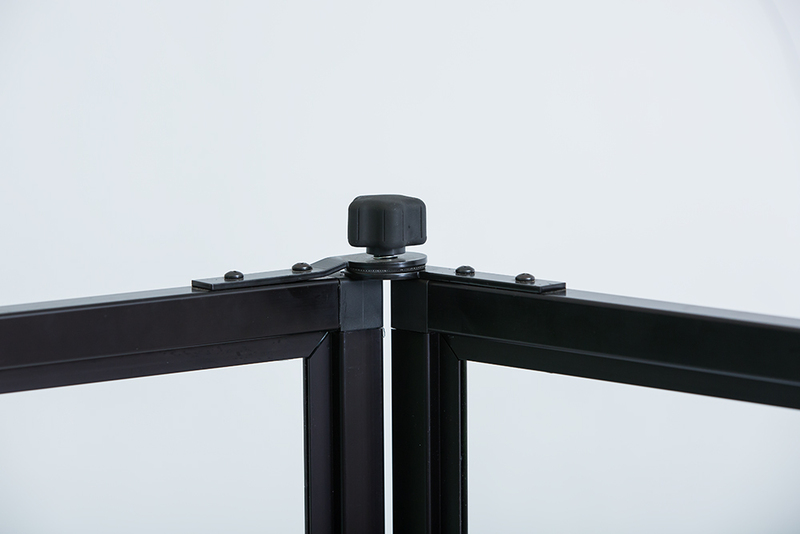 Unlike other portable dividers on the market, Screenflex whiteboard divider features self-leveling caster that keeps the whiteboard divider level on all floor surfaces. 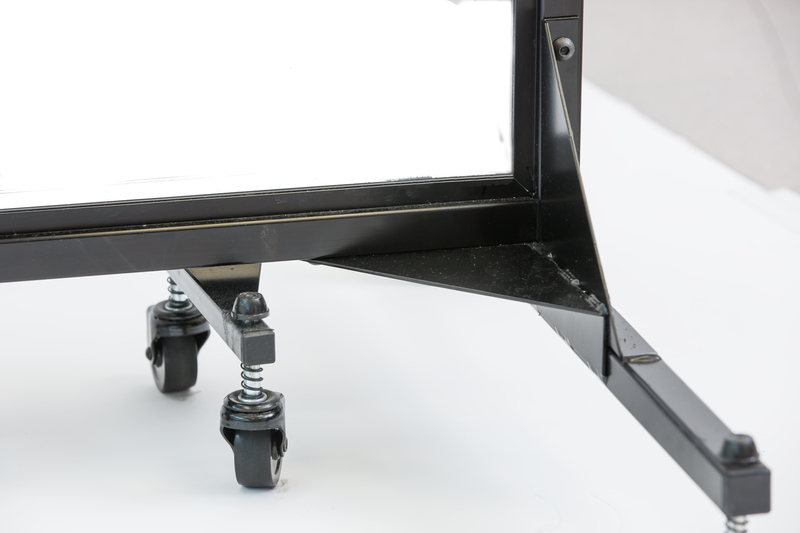 Each Screenflex dry erase dividers ship fully-assembled and ready to use right out of the box. 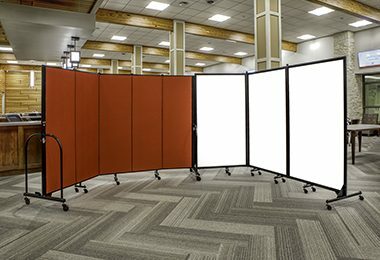 No set-up time to schedule! 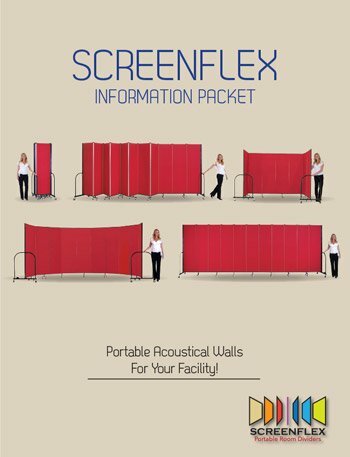 Once you use the Screenflex portable dry erase board in your school, we know you will agree that the Screenflex dry erase marker boards at the best dry erase boards for any classroom.